Our customers know that our collection of fully insured, park approved and sanitized bounce houses for rent in San Diego have no equal in all of San Diego County. We only rent premium-grade & reliable waters slides, obstacle course, jumpers with slides and more! No other jumper provider can match our jumper’s size and quality. Our certified professionals will setup, inflate and configure your jumper according to your requirements. Request your jumper within 24 hours prior to your party or event and receive it on time, every time. We have the most amazing collection of inflatable kids jumpers! Our San Diego inflatable bounce houses, are made with reinforced material to ensure maximum safety. 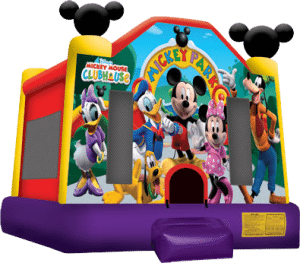 Bounce House Rental San Diego: Our San Diego Bouncers are very similar to moonwalk jumpers, but are normally made with thicker material and have on additional reinforced areas. A standard size (such as a 13′ x 13′) jumper for kids will likely be larger and heavier than the indoor type because of the reinforcement and the additional material. They can, therefore, be used outdoors without the fear of being blown away by the wind or slipping off. We have kids party jumpers for Disney Princess, Mickey Mouse, Minnie Mouse, Little Mermaid, Sponge Bob Square Pants, Peppa Pig, Batman, Superman, Spiderman, The Incredibles, Toy Story and many others. You can learn more about how bounce houses are made, or follow our comprehensive bounce house rental guide. If you are considering using a local park for your party or event, please obtain a park permit at the City of San Diego’s website. 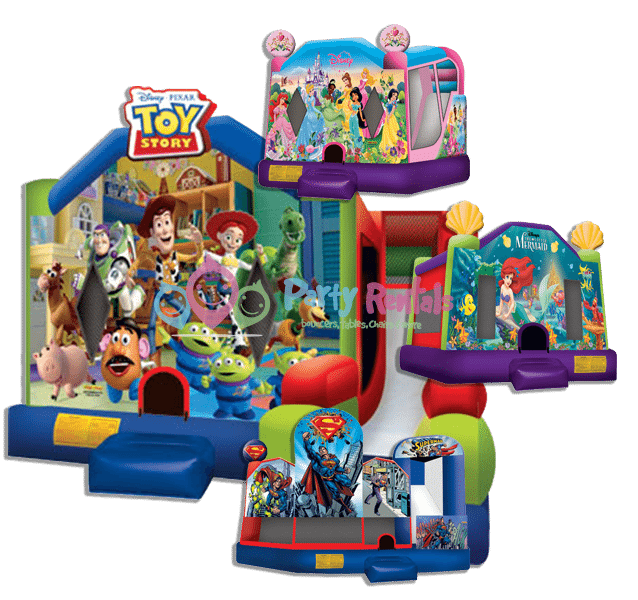 Combo jumpy rentals San diego:Our high-quality combo bounce houses came in different varieties, from 2 in 1 all the way to 6 in 1 combos. San Diego Inflatable Rentals: Combo bouncers are mainly a bouncer with a slide, making it a 2 in 1 combo. 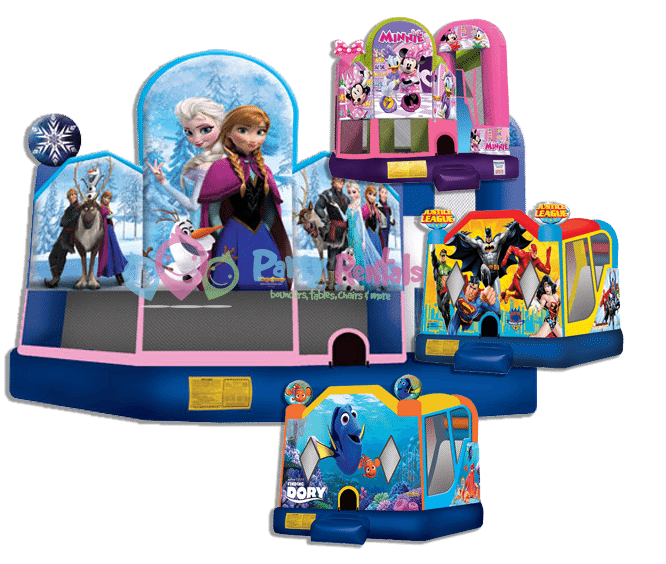 However, some combos bounce houses have interactive games in the interior such as: basketball hoops, additional slides, as well as additional games on the outside. When choosing a combo bounce house, you have to take into account the amount of children or adults that will be using the bounce house. Jumper Rental San Diego: The more people using the bouncer the larger the bouncer needs to be. But we do not have cheap jumper rentals in San Diego, our focus is quality and safety. Moreover, a 2 in 1 bounce house will serve well for a small party of ten children, where our 6 in 1 combo will be ideal for 20 people or more. 5 in 1 combos – These come with jumper, a slide, a basketball hoop inside & outside as well as interior obstacles. Jumpers for rent in San Diego: Combo jumpers are very popular as these have additional games inside, making it the perfect choice for those customers looking to get more out of their jumper. Our combo jumpers have been carefully selected to accommodate even the most demanding of customers. These are the most impressive of the San Diego inflatable rentals. 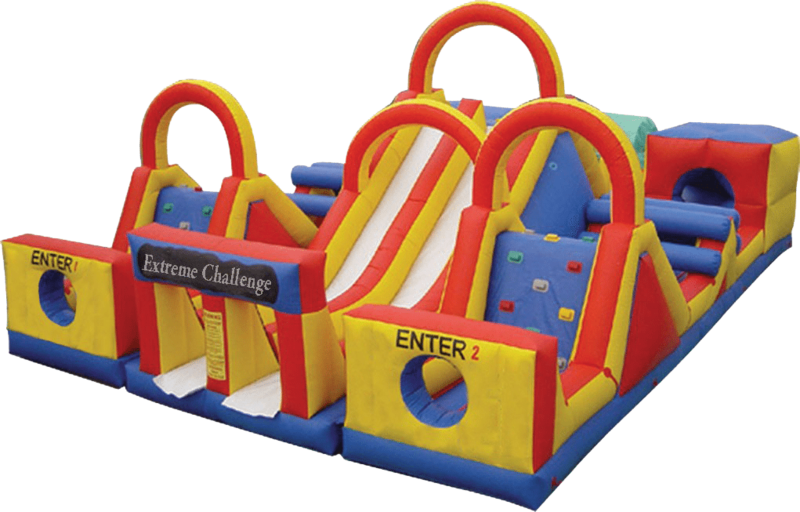 The designs of these are slightly different from the slide type bounce houses; they are much closer to the inflatable obstacle courses. We have the Tallest Water Slides in all of San Diego! San Diego Jumpers: They are significantly reinforced, and favor rougher play than the other types of bounce houses. The biggest differentiating feature is that they are meant to be used with water and unlike the standard bounce houses, they are designed using material with rougher texture making them safer for use even when wet. Bounce House Rentals San Diego: Party Rentals Online has the tallest water slides in all of San Diego County. San Diego Jumper Rentals: No other provider offers our 27 foot high monster slide with an 80 foot drop. We have over 20 different water slide bounce houses to choose from. We also have water slides for rent in San Diego that have a slip and slide with a small pool. You can extend your water slide with our slip and slides and boost your party with more fun! There is simply no other provider that even comes close to the quality of our water slides. With a massive 80 foot drop and 27 feet high, our smallest water slides makes the largest water slide our competitors have. At Bounce House San Diego, our water slide jumpers are so amazing, that you will probably request that we leave it just for 5 more minutes, even 5 minutes! Our customers enjoy our water slides so much,that we have to leave then overnight most of the time. Obstacle Course Jumpers are those bouncers that require participants go through a series of obstacles in order to move from one part the the next. The game here consists of two participants racing each other at the same time to see who completes the course faster. San Diego Bouncers: We have inflatable obstacle courses for adults as well as for children. At bounce house san diego, our obstacle course for kids are some of the largest jumpers and are mostly used on open areas such as schools, public parks, and public beaches. We also have toddler obstacle course for anyone looking to throw a children’s birthday party with any of our backyard obstacle course jumpers. Another crowd favorite for a San Diego jumper rental option are our double lane rush obstacle course jumper, famous for providing imaginative play to the kids at a party. When going for obstacle course themed bounce house rentals in San Diego, make sure they have been designed well and abide by the safety rules and regulations. Being this jumper one of our most requested obstacle course bounce houses to date. When choosing such inflatable obstacle course rental in San Diego, choose the exact type that is suitable for your child and their friends. You do not want one that is too big for your backyard or too small for a large group of guests. Your guests can then have fun seeing who finishes the quickest or who goes the most rounds. A fun course related bounce house is the inflatable single and double rush obstacle course, which will have the children competing, making scores and learning about basketball and sports. Technically, toddler jumper rental in San Diego are part of the indoor category. However, not all are designed strictly for use by toddlers. Toddler bounce houses are safe bouncy spaces for the toddlers, with the right safety features that restrict large and older kids from entry and the possibility of accidents and the toddlers being trapped. Jumpers San Diego: These are made to be used more frequently, inflated and taken down more often. They will normally be stronger and heavier, and designed to take in more users at the same time. There are small commercial bounce houses in San Diego, but most of the commercial bounce house rentals in San Diego are typically larger for bigger events. Our jumpy rental San Diego give you plenty of options to choose from. Bounce House San Diego: At bounce house san diego the good news is that almost every type of bouncer has a commercial version, so these should not be too difficult to come by. Our San Diego Jumpers using high quality vinyl material to ensure a safe interaction with all participants. When it comes to bouncy house san diego, there is no other provider that can match our bouncy quality, maintenance records and price. Different factors affect the pricing of a typical jump house in San Diego. The cost will normally depend on the bounce house type and what it will be used for. When you call, email or text our office, the first thing we will ask is what type of bounce house you need. Bounce House Rental San Diego: Depending on the number of guests and their age, the prices can range from between $150.99 to $250 dollars for premium grade bounce houses. 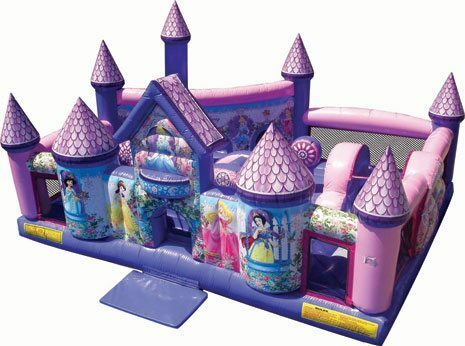 Jumpers for Rent in San Diego: Castle and house shaped bounce house rentals in San Diego are the cheapest of the lot, since they only offer the bounce area and not much more in terms of designs and specialization. 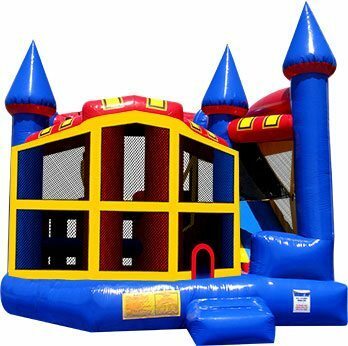 The maximum one can expect to spend on castle bounce houses is about $250 dollars, depending on the number of guests available. Combo slides, which have a bouncer and a slide that either leads to a pool or onto the ground, are also relatively expensive. You can expect to spend up to $295 dollars in such a bounce house, depending on factors like the number of users and the event being hosted. Because of their complexity in design, the effort required to set them up, take them down and maintain them, the water slide bounce house rentals in San Diego are perhaps the most expensive of the lot. They also have a lot of safety features, which makes their operation and design more complex. 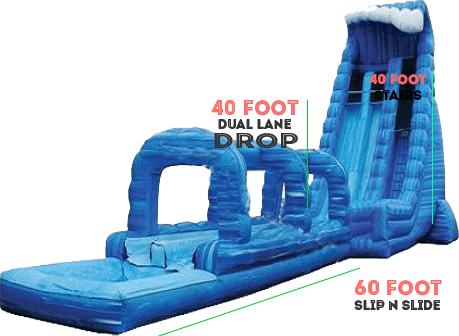 Inflatable Jumpers San Diego: A water slide bounce house could top $380 dollars depending on the number of users and the events it is being used in. But jumpy rental in San Diego is not so straightforward. Sometimes, even the same bounce house might come at a different cost depending on the situation. Different factors determine the overall cost of the rental apart from the type. For instance, the number of guests that will use the bounce house is a huge factor. Jumpers San Diego: For many companies offering bounce house rentals in San Diego, the user categorizations normally starts from 25 and below, to between 25 and 50, 50-100, 100-150 and so on. The larger the number of people, the bigger and stronger the bounce house will have to be. A bigger bounce house will definitely be more expensive. The type of event the bounce house will be used in is also an important factor. Events are either categorized as indoor or outdoor by many companies that offer bounce house rentals in San Diego. Indoor events include birthdays, office events and some school functions. 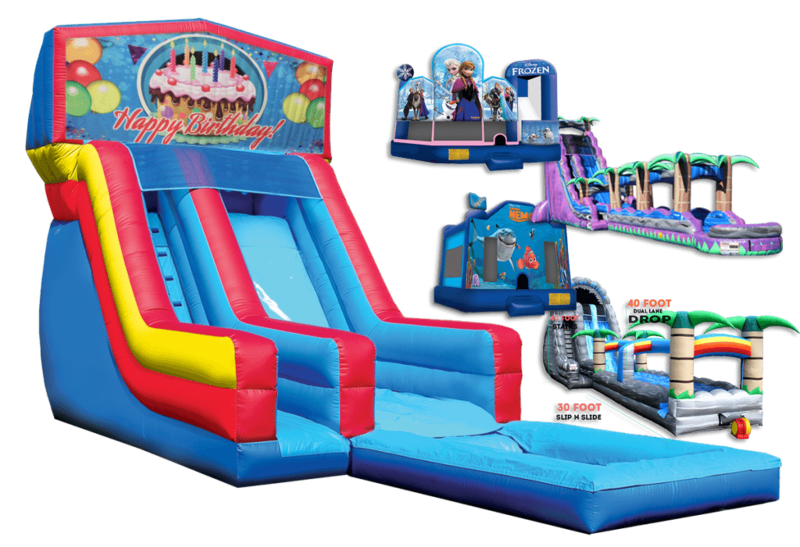 At Jumpers San Diego Party Rentals Online, we know that outdoor events are where the bounce houses are most on demand. They include fairs, birthday parties, festivals and special events. Naturally, the type of event and whether it is outdoors or indoors will determine the potential for traffic, and the type of bounce house that will be appropriate. 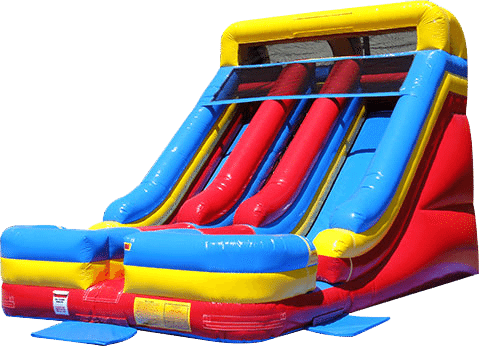 Inflatable Jumpers San Diego: The age group that will use the bounce house is also a huge factor. Age determines maturity, and therefore the levels of safety precautions that must be taken when they are using the bounce house. Normally, younger users require greater care in terms of the safety precautions that must be fitted onto the bounce houses. For instance, for a bounce house to have a toddler section there must be restrictive spaces that older children cannot fit through. On the flip side, as they get older, play patterns become tougher on the material, meaning the bounce houses have to be tougher. A water slide for over 18s for instance, will likely require heavier material than one for users below ten, for instance. They must also be heavier so that they do not tip over because of the extra activity or heavier users. 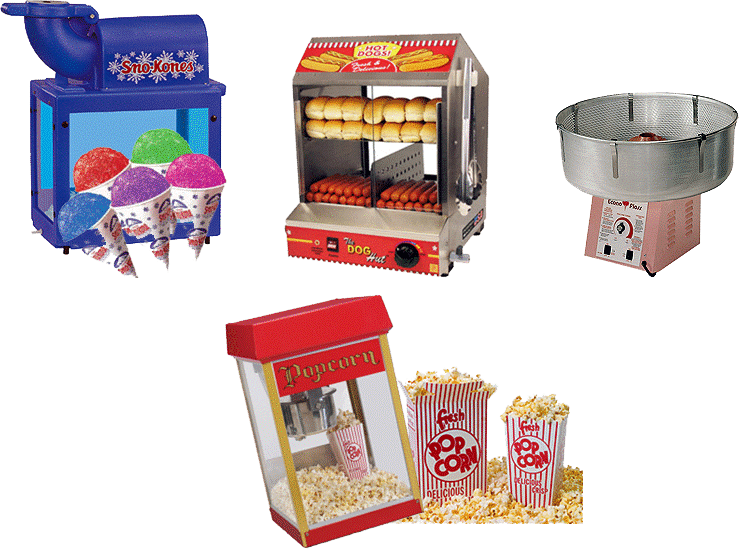 At Party Rentals Online we have top quality concessions rentals for Hot Dog and Bun Steamer, Snow Cone Machine, Popcorn Machine, Cotton Candy Machine. We know there are no second chances when it comes to satisfying your guests with quality food and beverages. Should you run into problems, give us a call and we will immediately replace the unit, no questions asked. Popcorn Machine Rental – Our popcorn machine the best commercial grade unit available in all of San Diego. It comes with with 6 mega pop bags which are good for up to 50 servings. You are welcome to add more servings. Snow Cone Rental San Diego– Our Snow Cone Machine comes with 50 snow cones and you can choose between two snow cone flavors. It is light and sturdy ready for heavy use whether you need it for a small party or for a multitude of guests, you can rely on your snow cone machine to remain as reliable. Hot Dog and Bun Steamer – This is the best Hot Dog and Bun Steamer in the market. It comes equipped with two sections, one to cook your hot dogs, and another to steam heat your buns. Its so easy to setup up that you will have your guests delight with your hot dog unlike any other occasion. Cotton Candy Machine Rental San Diego – Our cotton candy machine comes preset to the ideal controls so that you can plug and use it. Choose from our two flavor floss sugar for your initial 50 servings. Bounce House Rentals San Diego: Bounce houses are a fun way to add life to a party when there are kids involved. All those sweets and cakes get them hyper and will normally have them with too much energy to burn that can be impossible to control without an outlet. Sometimes even in family gatherings even the adolescents and the adults can have fun in the bounce houses. Depending on the type of party you are planning to throw, the number of people likely to attend and the personal preferences of the attendees, there are different options for bounce house rentals in San Diego to choose from. Mickey Mouse, Princess, Little Mermaid, Superman, Batman and many more. Our collection of over 300 high-quality, sanitized, and insured jumpers for rent in San Diego, will be the perfect addition to your party or event. When looking for bounce house rentals in San Diego, perhaps the most common bounce houses you will find are those that have inflatable slides. At Party Rentals Online we offer wet slides that come with our water slide jumpers, and dry slides which come with our combos and dry slides. Bounce House San Diego: Just as the name suggests, these inflatable slides can either have the users slide into a water fountain or to the ground as they would in a playground setting. Naturally, the water type bounce houses with inflatable slides are the most common, especially in the outdoor events of the summer months. Bounce House San Diego: The children will have the fun of their lives sliding from high up into a pool of water when the sun is out. If the weather is cooler, then the better option here would be the dry slide. At Party Rentals Online, we have found a way to make the process more than just the fun of jumping up and down and sliding down into the water. Another common San Diego bounce house type is the one that involves a certain type of activity. The most common in this category are those that have obstacle courses or a scavenger hunt. The inflatable dinosaur kingdom combo is common in this category. The appeal here is the overall look, which gives the kids that breathtaking feel as soon as they are set up. Our San Diego bounce house rentals might involve a water slide, with the kids having fun looking for dinosaur eggs and baby dinosaurs. This is sure to spark the kind of competitive play and attention that parents can only dream of. Another crowd favorite for a San Diego jumper rental option is the obstacle course, famous for providing imaginative play to the kids at a party. Bounce House San Diego: When going for obstacle course themed bounce house rentals in San Diego, make sure they have been designed well and abide by the safety rules and regulations. Most of the time, they are categorized by age groups, make sure to specify this to the company you choose for your bounce house rentals in San Diego. When choosing such jumpers in San Diego, choose the exact type that is suitable for your child and their friends. You do not want one that is too dangerous or too difficult for the children as they tend to get bored easily. Bounce houses also come in a wide range of themes. Themed bounce houses are more expensive and in high demand, but are fun because they appeal to the child and make them feel appreciated. They provide a birthday experience they and their friends will be talking about for months to come. Even our small jumpers are bigger! If you want to really impress your child, then get them a bounce house designed in their favorite cartoon colors. They can then have fun seeing who finishes the quickest or who goes the most rounds. Bounce House San Diego: A fun course related bounce house is the inflatable basketball court, which will have the children competing, making scores and learning about basketball and sports. Our jumper rentals San Diego come sanitized, park approved and 100 percent insured. San Ysidro, Imperial Beach, Coronado, Chula Vista, Lakeside, National City, La Mesa, El Cajon, Santee, Alpine, San Marcos, Encinitas, Del Mar, Rancho Santa Fe, Rancho Bernardo, Vista and anywhere in San Diego County. The City of San Diego as well as other cities within the San Diego County region, require that you obtain a park permit to have access to public parks. We are one of the few companies that is park approved and holds the necessary credentials, permits, licensing and insurance. To learn more about obtaining your park permit, click here. We have remained in compliance with the city of San Diego and its neighborhood cities for over a decade. Contact us to obtain proof of insurance. We will happily assist you on obtain your park permit. We are one of a hand full of jumper providers in San Diego that are actually licensed, park approved, and fully insured for over 1 million dollars, as required by all city public parks. We have such a good standing, that you can rest assured that most park rangers will immediately recognize our jumpers and trucks, and will ensure that your party equipment is properly installed without delays. Full payment is due before items are released to a customer. Note however, that you can make a 50% deposit to “reserve” your items for a future date. We accept American Express, MasterCard, Visa, and Debit card with a valid driver’s license. Personal and business cheques are accepted with a valid driver’s license. What About Changes in My Request? You can always make changes to your request within 24 hours of your scheduled delivery time. 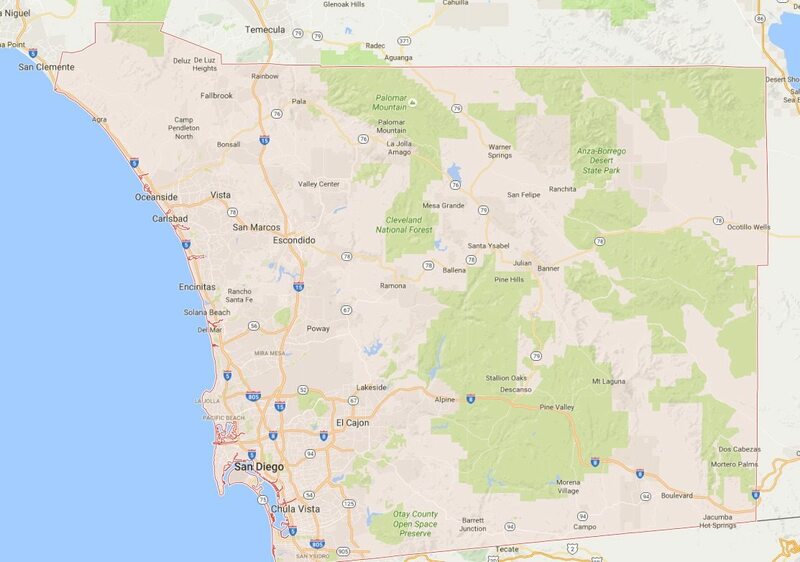 We make free deliveries to most areas in San Diego County. If your request is over $200 we will deliver your order everywhere in the county. This order value is required to offset the expenses incurred due to transportation and handling. When Will my Order Be Delivered/Picked Up? However, delivery/pick up times may vary by 10-15 minutes due to traffic or weather conditions. There are no fees associated with delivery or pick up. However, there will be an overnight fee if you choose to keep the items overnight in order to be picked up the following morning.